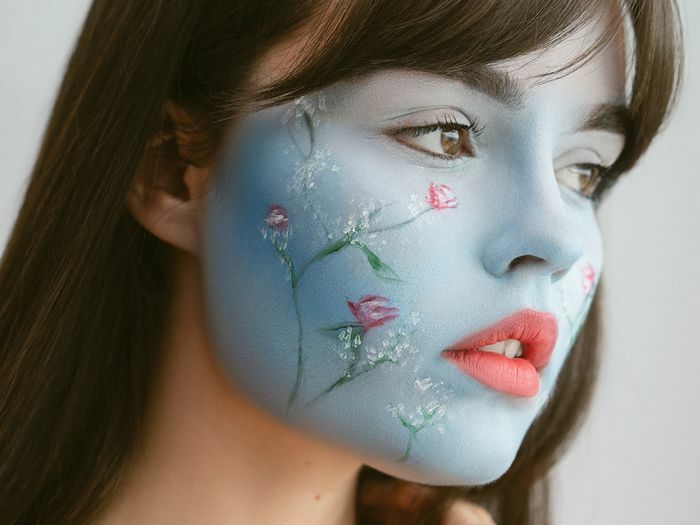 Before Frances O’Sullivan was known as Beauty Spock, the Instagram account where she’s gained over 282K followers by creating enchanting, surreal, almost-costumey makeup looks, she was just a girl from Britain who loved movies. “I really liked special effects,” she says. “So I got into face painting and body painting. I did loads of art when I was younger.” Becoming an influencer never crossed Frances’s mind, so when it came time to choose a career, she decided to channel her eclectic creative pursuits into something a little more employable: makeup artistry. But on the side, she continued experimenting. “I started to mix my love of art, photography, fashion and makeup all into one and started doing it on my face,” she explains. Using everything from children’s face paint to MAC lipstick, Frances would take inspiration from art, architecture, fashion and movie characters to create murals or pinup-esque characters on her porcelain complexion, completing her one-of-a-kind looks with costumes and wigs. She shared these on Instagram under the @beautyspock handle. Two years ago, a few posts of Frances using makeup to transform into different iconic celebrities (Angelina Jolie, Bella Hadid, Audrey Hepburn) went viral, leading her to a feature in Vogue and deals with beauty brands like Nails Inc and Vanity Planet. More eyes continue to flock to her mesmerising account every day. We got a chance to peer into Frances’s creative process as she created three original makeup looks inspired by fashion week. 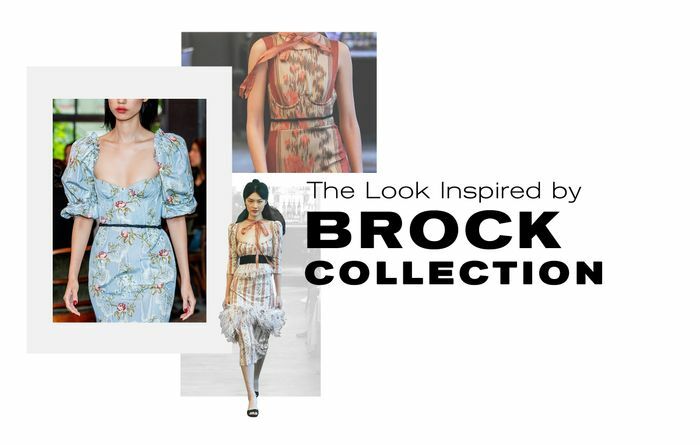 Frances based the following masterpieces on the S/S 19 collections from Marc Jacobs, Chanel and Brock Collection. Keep scrolling to get a peek inside the spellbinding mind (and process) of Beauty Spock. I first got into body painting from seeing people do prosthetics and special effects. So that's what I started doing. I always loved movies and wanted to work in that industry. I went to London College of Fashion and studied hair, makeup and prosthetics. I really wanted to do gory stuff and aliens and all of that, but now I'm kind of into this new genre of makeup and fashion and body painting all mixed together. I couldn't do makeup without blush. For my everyday, normal makeup, I could probably do my whole face just with blush because it works for everything—as eye shadow, lipstick, everything. I just love that pink, cute, summery look. I specifically love the Sleek blush (£5) and the MAC blush (£33). But sometimes I use lipstick as blush as well. I love MAC's lipsticks (£18). They're just so creamy. You can use them on your lips and have that soft, blended-out edge and use them to create a rosy cheek as well.